A year ago, Policewoman Tzippy Ya’akobian was stabbed near the Old City of Jerusalem by a terrorist, and paralyzed from the neck down. 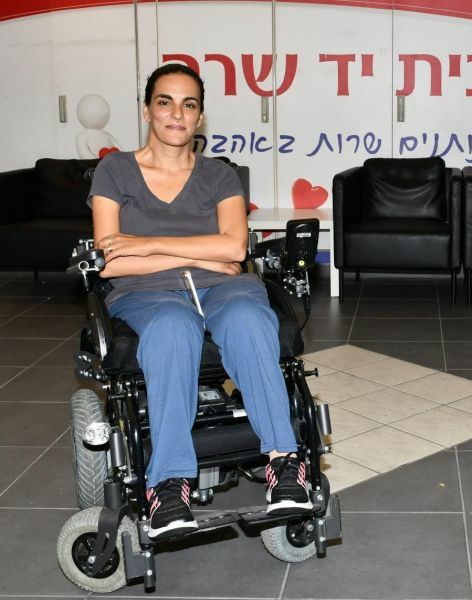 She visited Yad Sarah to see how we could help -- she needed an adjustable bathroom chair. We had one in our Netanya branch and passed it along to her. Staff and volunteers in the Exhibition and Guidance Center also gave her information about building a ramp to enable her to visit her parents, and demonstrated adaptive equipment for the kitchen to make it comfortable for her to prepare food for herself and her family. There are countless stories about officers like Tzippy going out of their way to help others, protecting life and property. Yad Sarah is happy we were able to help her remain independent at home and engaged with her family and community.